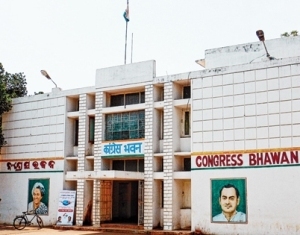 ONI Bureau: Amidst the speculations of Jharsuguda MLA Naba Kishore Das and Koraput MLA Krushna Chandra Sagaria leaving the party, the Odisha Congress has sought to control the damage and recommended all 15 sitting MLAs for 2019 Assembly polls. The PCC (Pradesh Congress Committee) has recommended 44 names for the 2019 Assembly Polls, but declined to make the list public immediately. However, it has confirmed that all sitting MLAs have been retained. The Screening Committee will review the list and then approve it, which is said to be a mere formality. The joint meeting of the PCC Election Committee and Screening Committee was held under the chairmanship of PCC President Niranjan Patnaik today, which was also attended by Congress Odisha In-charge Jitendra Singh, Leader of Opposition Niranjan Patnaik and PCC Working Presidents Chiranjib Biswal and Pradeep Majhi.